I have about 6 different projects that are on the verge of being completed. I just have to get the mirror back in the frame and mounted. 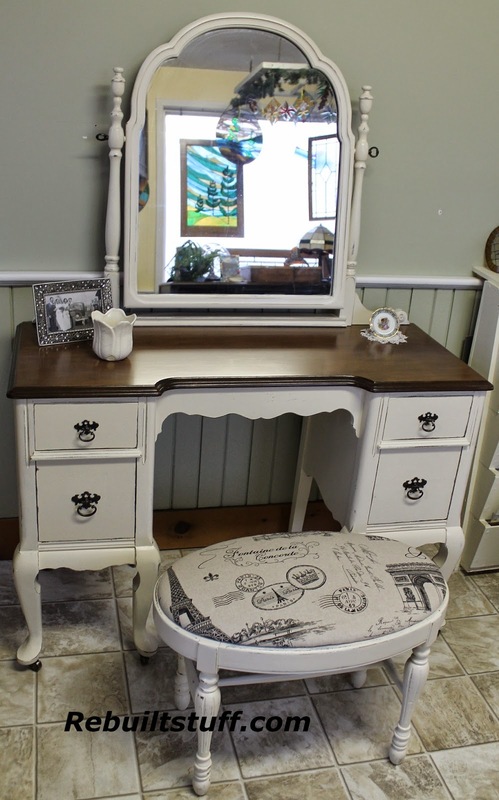 This pretty little vanity also has a bench that needs to be upholstered. Next week is going to be my week to finish it! 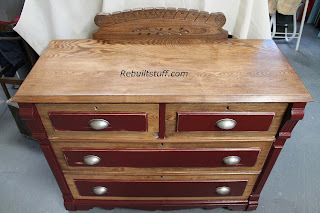 This cabinet/buffet was painted, painted and the painted again, and what do I do strip it! 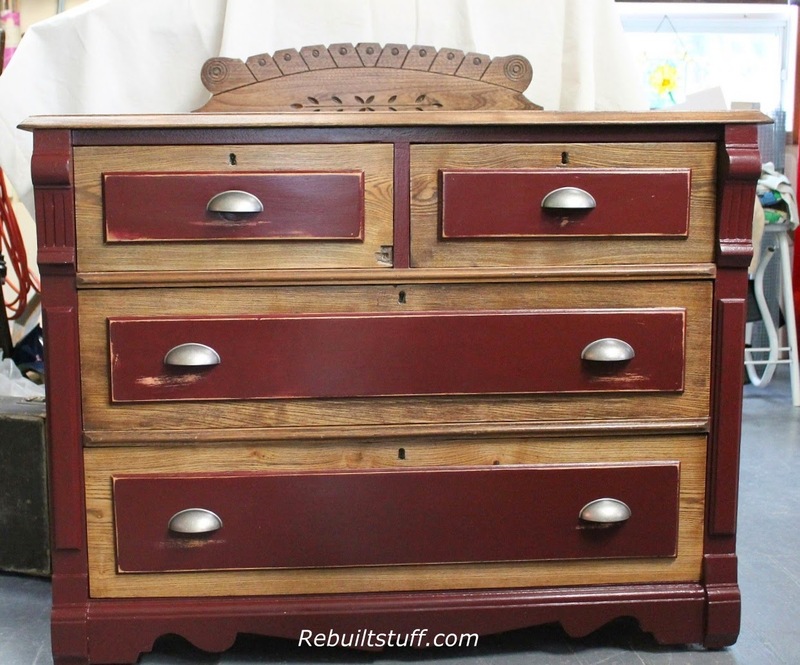 Every other piece of furniture I buy, I paint...go figure! I thought that the cabinet would be pine, but only the drawer front panels turned out to be pine. The rest is oak. This cabinet is so old all of the panels were nailed with hand made square nails. The cabinet was just too boring with pine panels so I painted them to match the sides. 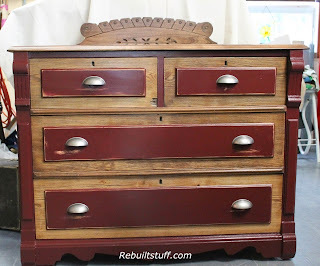 I then lightly sanded the drawer fronts for a distressed look and put on new handles. I like the open surface, so I did not re-install the boxes on top. 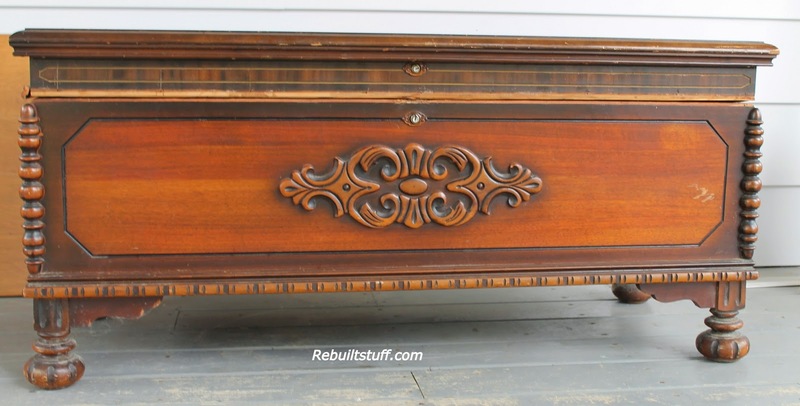 I don't think that the boxes were original to the cabinet, they were a different type of wood, and just did not match the cabinet.